Whitepapers and Resources to ensure that ALL important emails are uploaded on a TIMELY basis. 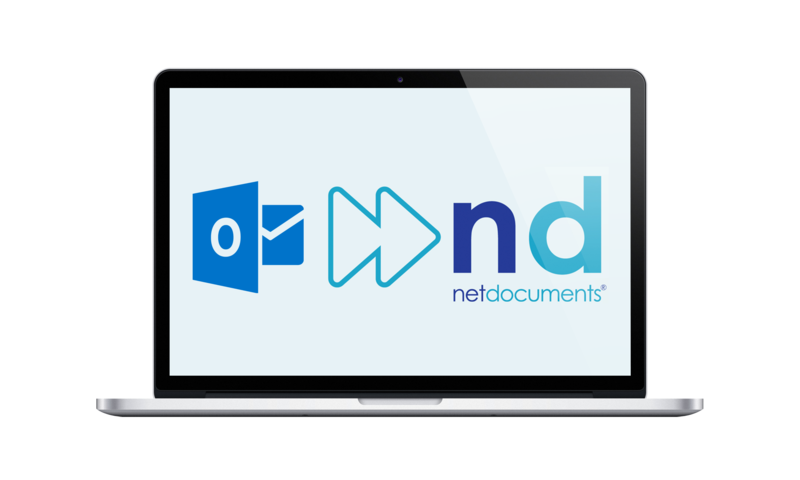 Standss has been working closely with NetDocuments since 2009 to help professionals move emails from Outlook to NetDocuments. This web page has resources to understand the various Outlook addons available from Standss and NetDocuments to help both organizations and users with email issues. 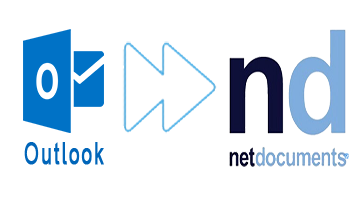 NetDocuments has a number of options for filing Outlook emails form Outlook to the NetDocuments service. These include EMS Folders and ndOffice. 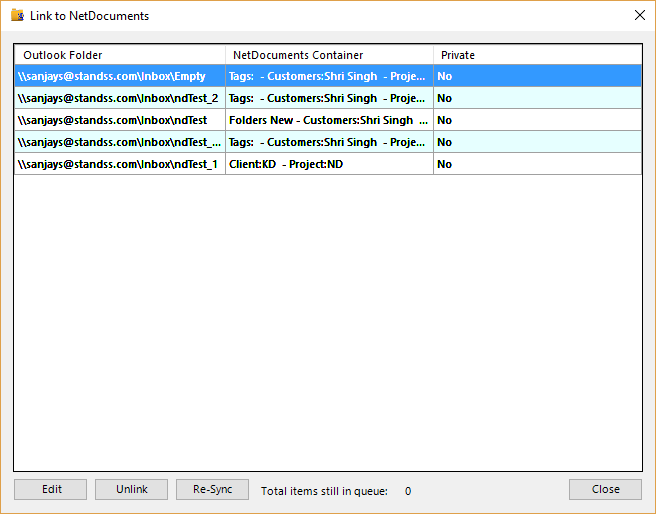 Standss has also developed two additional addins (MailSync and QuickFile) to work with NetDocuments and Outlook. The benefits of getting all emails into a central NetDocuments repository are obvious for organizations and include data security, compliance, mobility and collaboration. However, these benefits only materialize if all important emails are filed in the correct locations inside NetDocuments in a timely manner. Despite the obvious advantages stated earlier, organizations often find it difficult to achieve the above. This whitepaper looks at the reasons why and 4 different Outlook add-ons that can be used to solve this problem. MailSync allows you to create links between Outlook and NetDocuments folders. Any emails filed into a linked Outlook folder will automatically be copied over to NetDocuments and profiled correctly. This means that users are able to leverage their existing Outlook folders. They do not need to change their existing work habits. They can continue to organize and work with their emails in a way that works best for them. The emails are accessible inside Outlook based on the users workstyle… and also available inside NetDocuments based on the organizations needs. Best of all… the user only has to file emails into Outlook (and MailSync takes cares of the rest). QuickFile for Outlook is already used by thousands of users around the world. 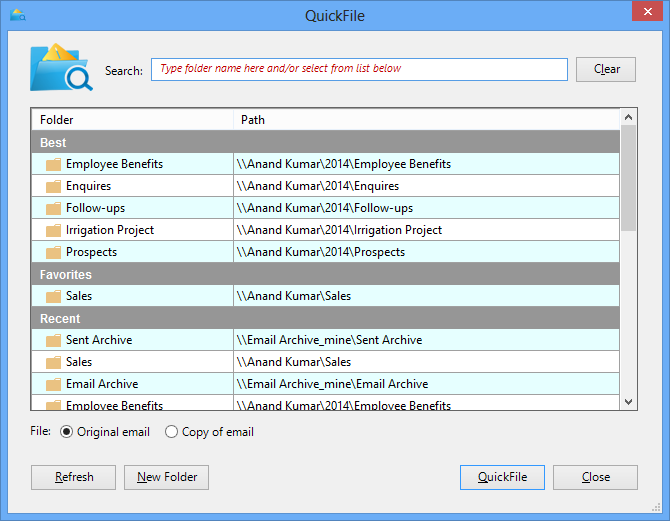 QuickFile’s predictive filing makes it possible to file 90% of Inbox emails at the click of one button. Quickfile also makes it possible to Send & File emails in one step (the most common reason for incomplete files is unfiled sent emails). QuickFile has a number of special features built into it for NetDocuments EMS Folders users. QuickFile is also the perfect companion product to MailSync for Outlook.